"Utopia or Bust" by Phillipa Horan, on display at Fastnet. All photos courtesy of James Powers/Fastnet. In 1985, the year before Irish-American artist James Powers was born, a 150-foot freak wave struck the Fastnet Rock Lighthouse in Ireland. Growing up on the country’s coast, Powers was fascinated by the structure, built in 1984, and its history as one of the last scraps of European land seen by Irish boats bound for America. When he lived in Cork, he could see it from his bedroom window. 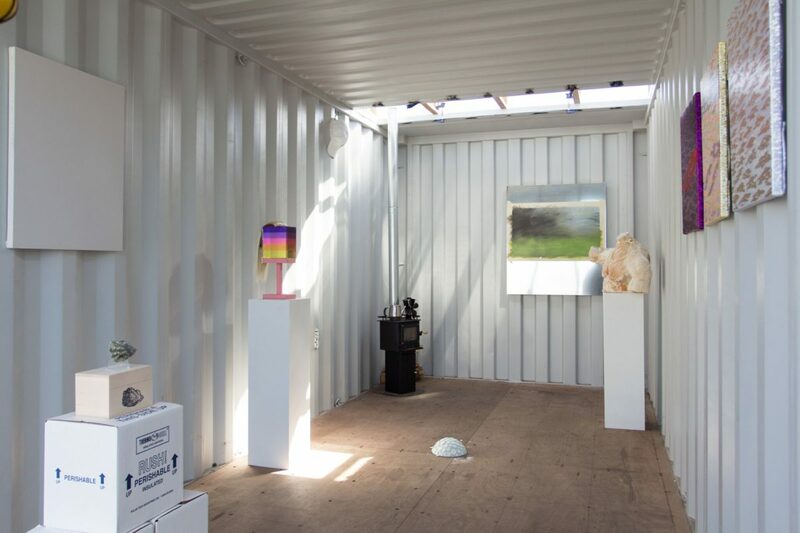 The historical lighthouse served as the inspiration for Powers’ Red Hook studio, Fastnet, a converted shipping container that holds small-scale exhibitions, billed as New York’s only waterproof art gallery. A few years ago, Powers, who works for artist Mel Bochner, and previously ran a small gallery, was searching for a new studio, but rapid gentrification outpaced his means. “I was tired of trying to find a studio in Brooklyn, it was a rat race,” Powers says. On a stroll through Red Hook, he found a parking lot near the shipping dock with unoccupied spaces. 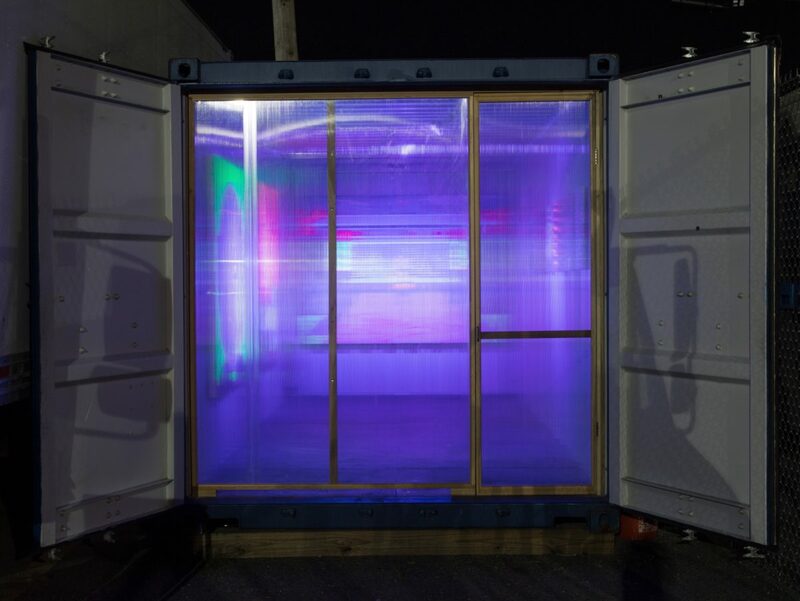 Simultaneously, he had been researching what a shipping container might cost, since his own work deals with oceanography and industrial materials. Combined with rent on a parking space, Powers discovered that the shipping container solution to his real estate woes required only a modest investment. From "Empire of the Moon," an exhibition by Ricardo Harris-Fuentes about shamanism and beliefs surrounding health and wellness. Powers's container, named after the Irish lighthouse. 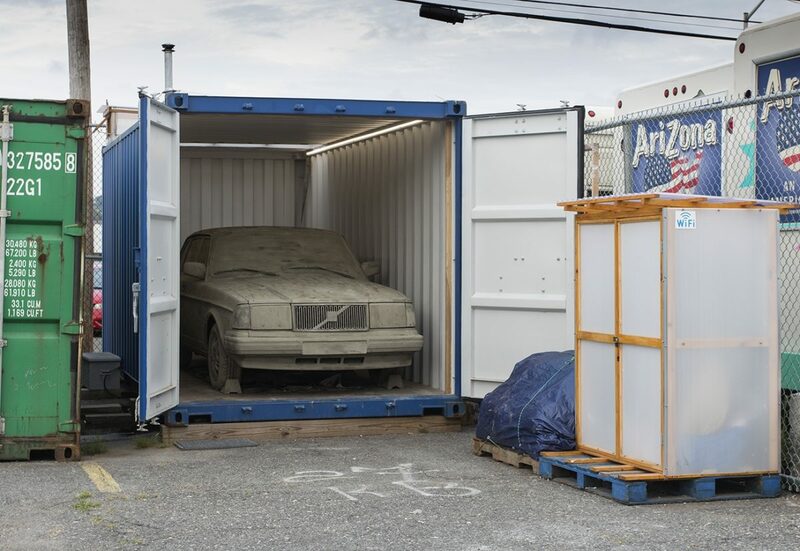 From "Volvo 240" by Erik Sommer. 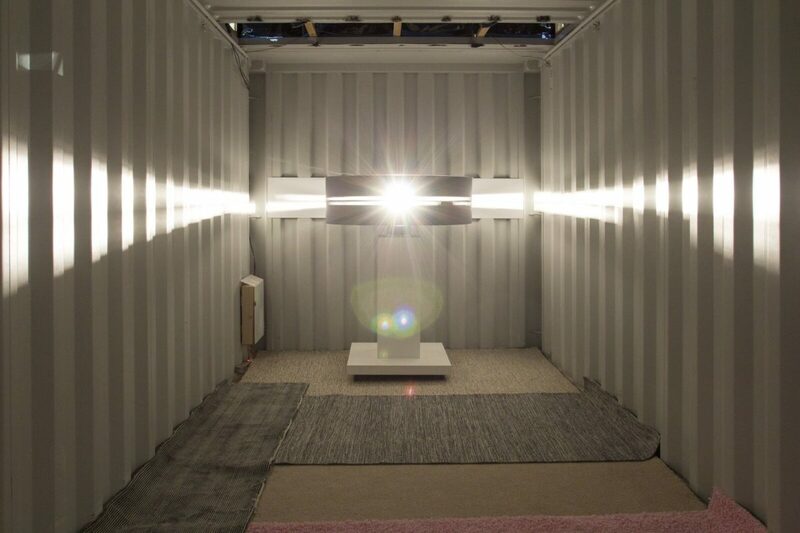 Powers purchased a one-way container—the kind that makes a single trip from China to the U.S.—and retrofit it with a skylight and doors. He found dual purpose in his new studio, staging exhibitions by friends, collaborators, and other innovators. The moniker Fastnet not only pays homage to the lighthouse from his childhood, but also nods at how the project “straddles various environmental and capitalist conundrums,” according to the mission statement, as a cast-off piece of the globalized economy that also draws attention to the ocean and its changing climate. 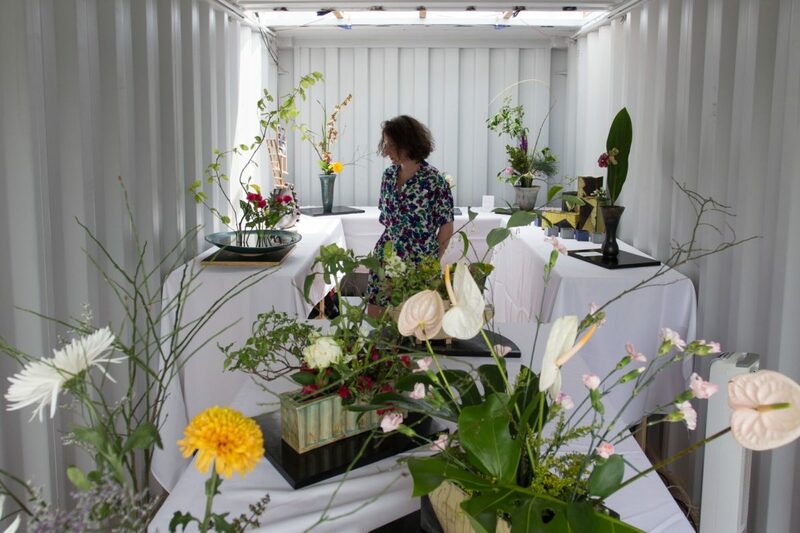 Past exhibitions include “Container Container,” organized by Yoshie Takahashi, with ceramic and ikebana artist Marc Isaacs, and a collaboration with scientist Mollie Thurman to build oyster traps as part of the Billion Oyster Project to restore New York Harbor’s ecosystem. Lately, Fastnet has been on the move. It is, after all, completely portable (fitting snugly on the back of flatbed truck). 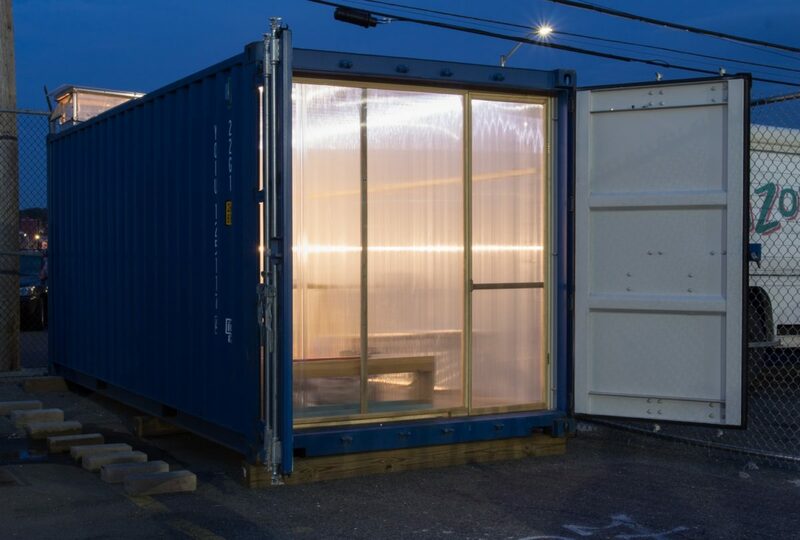 Powers recently took the container to Jersey City for for an exhibition curated by Phong Bui, a friend and director of the Brooklyn Rail. In the spring, the project goes to the Freshkills in Staten Island for a plein-air drawing workshop, hosted by the Freshkills Park Alliance. From the "Container Container" show, a collaboration between Professor Yoshie Takahashi and ceramic artist Marc Isaacs. This show features Ikenobo Ikebana arrangements in specially curated ceramic vases. 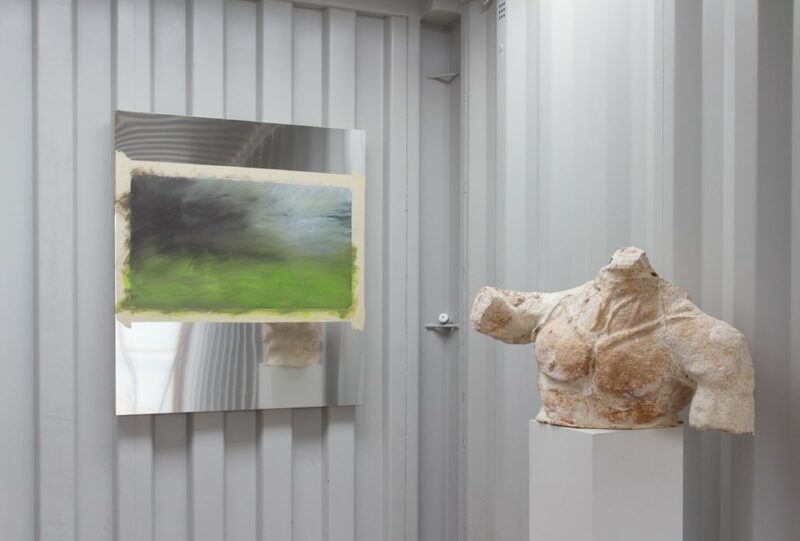 A look inside the "Prototypes and Pilots" show featuring Eric Ashcraft, Ben Thorp Brown, Nick Cueva, Jessie Edelman, Ricardo Harris-Fuentes, Phillipa Horan, Brian Hubble, Lena Imamura, Joyce Kim, Sophia Rauch, and Maddie Reyna. "SpinDrome" by Winslow Smith is inspired by an early amusement park ride, "The Rotor."